LEO Sign people can read here LEO HOROSCOPE 2015, LEO Astrology, Future Prediction with 2015 LEO Horoscope. Health, Love, Career, Financial Horoscope 2015 of LEO. 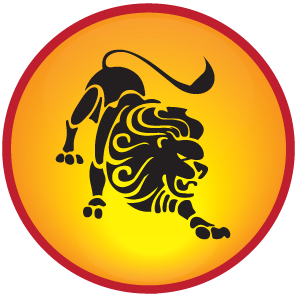 Meaning: A person whose sign is Leo he lives on jungle and mountain areas. Make conflicts in the home and have pain in throat and stomach. During the 2071 Vikram Sawant 24/10/2014, Jupiter is in high amount. The general of devil Rahu is in his friend’s sign while Saturn is in high amount. Saturn will move to Scorpio for the next 2.5 year. Venus and Mercury will also give good fruits. But most of the things will depend on your birth chart. Jupiter will change its movement in the middle of the year. From 14/07/2015 Jupiter will move to Leo sign and before that it was in Cancer sign. No other planet is moving this year. This time is good who want to marry. But you have to take care in money and family matters. Mercury is the owner of your financial position. You have to take care in financial matters as Rahu may affect you. There would be imbalance in income and saving. You may face difficulty in getting money. You can consult an astrologer to get rid of this problem. Sun is the owner of your health and Saturn is the owner of disease. You do not have to face any difficulty in heath during this year. But you have to take care between 20/03/2015 to 13/09/2015 and 17/11/2015 to 16/12/2015 as Sun is weak during this time. The time is good between middle to the end of the year in love and marriage life as Jupiter is in good place. Those who are unmarried they can go for marriage. You should match your birth chart before going for marriage. You will get mixed results during this year. Jupiter will support you after the month of July. But Saturn is in fourth place which creates tension for those who want to take master degree. You have worshiped an idol. Remedy For LEO 2015: Fast on Sunday and offer water to the sun. Chant Gayatri mantra. Eat rice-milk or kheer on Sunday. Donate red or pink clothes to poor on Sunday. Worship lord Shiva and chant Mahamrutanajay mantra. Do homatamak Laghurudra.